“I guess I know how to pick ‘em, right?” Cooks asked Tuesday with a laugh. Although he has been asked about it almost daily during the Rams’ playoff run, Cooks insists he harbors no ill will against the Saints or the Patriots. 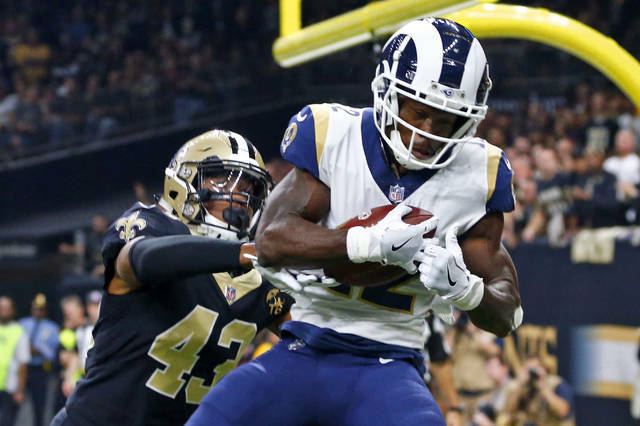 The Rams’ postseason could have been a personal revenge tour, but Cooks says it means nothing to him that his two former teams are Los Angeles’ final two playoff opponents: The Rams beat New Orleans 26-23 in the NFC championship game, and they will face the Patriots in the Super Bowl. While Cooks claims he didn’t take it personally, he also acknowledges using the trades as motivation during his fourth consecutive 1,000-yard season and the subsequent playoff grind. This Super Bowl is a particular opportunity for Cooks, who realizes how fortunate he is to return to football’s biggest stage for a second straight year. Cooks caught just one pass for the Patriots against Philadelphia last season before he was sidelined with a concussion, missing most of the biggest game of his life. 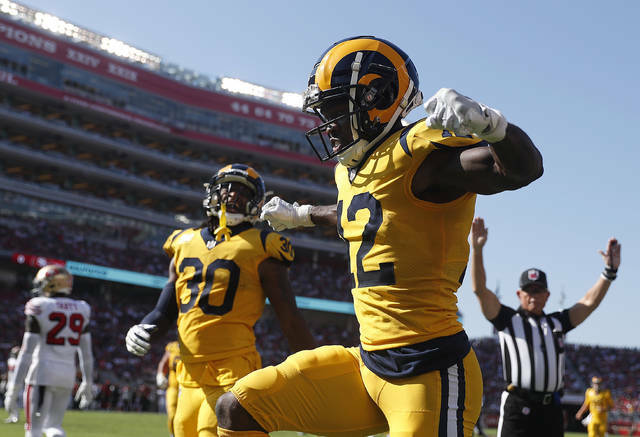 But it’s clear he has found a home in his native California with the Rams, who have lavished praise on him ever since his arrival. They even signed him to a five-year, $80 million contract extension before he played a game in LA, and he rewarded them with a career-best 1,204 yards receiving. “I can promise you this: We’re not trading him,” McVay said Tuesday. The Patriots have had only good things to say about their former receiver even though Belichick kept him for only one season before making the trade to maximize his value, rather than signing him to the type of long-term contract New England has often avoided. The Pats used the Rams’ first-round pick on offensive tackle Isaiah Wynn, who tore his Achilles tendon in the preseason. Belichick, Brady and other Patriots praised Cooks’ work ethic and talent this week. “He was a great guy to have in the room, a hard-working teammate, and he’s a real playmaker,” New England receiver Chris Hogan said. Even though he has impressive numbers for Los Angeles, Cooks is sold on McVay’s culture of individual sacrifice for team success. In fact, Cooks is getting some of his biggest praise for a strategic drop in New Orleans. No matter what happens in his second shot at the Super Bowl, Cooks seems certain be a key component of Los Angeles’ offense next season along with Robert Woods and the injured Cooper Kupp, who formed one of the most potent receiver trios in the league when they were together this season. Cooks is also eager for another year to build chemistry with Goff. “To be put with a young quarterback that’s the same age as me, and to know you have the chance to be together for a long time, that’s a blessing,” Cooks said. FILE – In this Nov. 4, 2018, file photo, Los Angeles Rams wide receiver Brandin Cooks (12) pulls in a touchdown reception in front of New Orleans Saints free safety Marcus Williams (43) in the first half of an NFL football game in New Orleans. Cooks is the first player in NFL history to have three consecutive 1,000-yard receiving seasons with three different teams. https://www.wnewsj.com/wp-content/uploads/sites/22/2019/01/web1_122226266-b3a98c744a87429b8884937f56e31caf.jpgFILE – In this Nov. 4, 2018, file photo, Los Angeles Rams wide receiver Brandin Cooks (12) pulls in a touchdown reception in front of New Orleans Saints free safety Marcus Williams (43) in the first half of an NFL football game in New Orleans. Cooks is the first player in NFL history to have three consecutive 1,000-yard receiving seasons with three different teams.